Martin LRH automatic rewinder fitted to IGT's existing Gallus Intro line - an MBX unwind/splicer and LRH rewinder will start work on IGT's new Tresu line later in 2017. IGT, International Global Solutions Corporation, has specified Martin Automatic equipment for both ends of its new 20-colour Danish-built Tresu flexo press. The Martin MBX unwind splicer and LRH automatic transfer rewinder are due to start up on the new press this Autumn at IGT's Lakeland production facility. This is not IGT's first commitment to Martin Automatic equipment. In 2008, it installed a 22-colour Gallus Intro line with a Martin MCB splicer, which has given peerless performance. On the back of this, it added a Martin LRH rewinder to the Gallus last year to give it roll-to-roll capability. 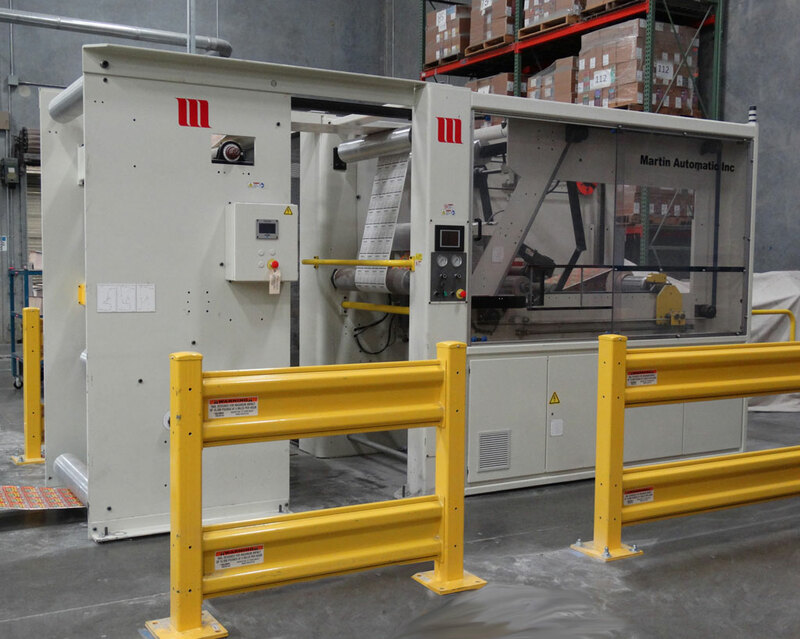 The Martin equipment includes web guide technology, and a slitting and bowed roller section to give maximum flexibility. This will allow IGT to slit the full web and wind into two ribbons in the Martin LRH, or slit the web on-press and rewind one ribbon in the LRH, while allowing the other ribbon to continue for fan folding and converting. The new Tresu, with its Martin units, is scheduled to commence production at the end of 2017, and will allow IGT to print and convert foil and cards from 8pt to 12pt (203 - 304 micron). 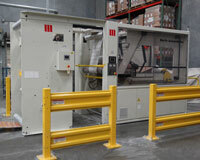 The Martin automation will result in low levels of material waste and a high level of machine uptime. To accommodate the new giant press installation and its vast output capability, IGT has invested heavily in additional floor space for production, storage and shipping, and taken the opportunity to reorganise workflow, and provide new sales and admin facilities that have required major building and engineering work. Indiana Carton's third generation is set for success!